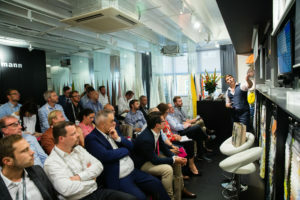 Delegates from around the globe descended on Design Centre, Chelsea Harbour for The Superyacht Design Forum. 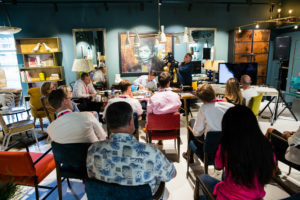 In partnership with The Superyacht Group, thirty interactive workshops took place in the unique setting of the showrooms. This year’s mantra ‘Action, not words’ set the agenda, providing the perfect opportunity for delegates to not only explore what the future holds, but to exchange and debate ideas. 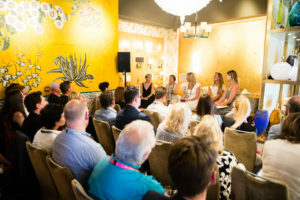 Over two days, five sessions were held simultaneously on five key themes of business technology, creativity, sustainability and style & interior. 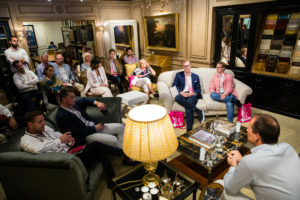 The Superyacht Design Forum programme comprised of five key themes: Technology, Business, Creativity, Sustainability, Style & Interior and consisted of 30 workshops within the unique settings of the various showrooms involved. The event also saw the launch of Superyacht25, a new book celebrating prominent icons, innovations and images from the last 25 years. 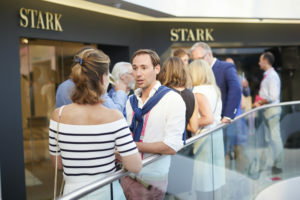 In the Design Club, the official Superyacht Design Forum party was a convivial evening on the theme of futurism, offering cutting-edge cocktails and forward-thinking conversation. Superyachts represent a significant business opportunity for the interior design industry. The past 25 years have been the most formative for this ever-evolving sector. In 1992, 1,500 30m+ yachts were delivered; today that number has more than tripled, approaching 5,500 yachts, including those currently in build. The world of yachts presents the ultimate wish list with the most luxurious and innovative designs to make your heart beat a little faster. Details like impeccable finishes are at their best close up, and two specially commissioned installations are fine tuned in visual harmony to showcase the textured, layered approach to decoration that is in the ascent, both on land and at sea. 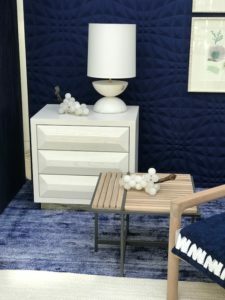 A twist on a classic blue and white palette, exciting combinations channel a rising spirit of individuality and creative expression. 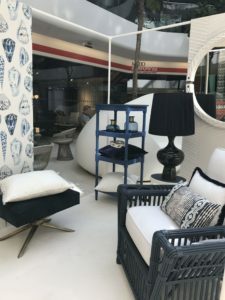 Fitted out with a diverse mix of cosmopolitan furniture, fabric, wallcoverings, carpet, lighting and accessories, they reflect today’s taste for sophisticated yacht interiors. Suitable for both inside and out, they meet the exacting standards demanded by the marine marketplace and the needs of a discerning clientele. Use them as a navigation tool to steer you to versatile high performance products, superb materials, ace workmanship in the international showrooms in the domes and Design Centre East. The choice is exceptional, as are the many bespoke services available at Design Centre, Chelsea Harbour. For this ever-evolving industry sector – it’s all at one address.